July 28, 2017, 10:11 a.m.
By Shan Wang @shansquared July 28, 2017, 10:11 a.m.
First launched last June during Spain’s general election as a Telegram bot experiment, Politibot tried to offer Spanish audiences a more whimsical and comfortable way to keep up with a tense political cycle and dissect facts and figures politicians and their parties spouted. (Quartz’s news app and Purple’s messaging app were among the inspirations.) Promoted only through its founders’ networks, the spunky Telegram bot built up a reliably loyal following of 8,400 users. Then a couple of the Politibot project’s founders, María Ramírez and Eduardo Suárez (who launched Politibot after they parted ways with the Spanish digital news startup El Español, where they were also cofounders) left for Univision to cover the U.S. election, and the news and information side of Politibot “went on holiday” last summer to the Spanish seaside resort city Torrevieja. About two thirds of the Google DNI money went into platform development, and a third to producing original content for Politibot. After an overhaul of the backend bot platform, the team resuscitated Politibot for Telegram and added a Facebook Messenger version for a limited run in the spring. It began testing expanded editorial content again, including news digests, analyses of issues outside of Spain, newsy charts for Instagram, and an original politics podcast. 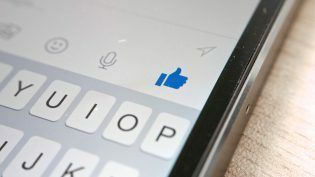 It had to give up its audience from last year after it closed down the original bot, but the bot’s second season attracted more than 6,200 users across the two different platforms, about 3,400 of whom opened the bot once each week and 2,400 of whom opened it every day — a prime user base to target for any potential paid subscription or membership program, Suárez said. Just this month is started to raise funds through a Patreon drive to build out the editorial side of the company. Suárez said the team would love to hit $2,000 in monthly reader support to add a journalist and help pay for its servers, and is working on exclusive content for paying supporters (it’s about a fifth of the way to that goal). The company’s other planned source of revenue will be the clients who pay to use its bot-making platform, and for installation, troubleshooting, and advice. It’s also considered advertising (a narrative, serialized ad-bot, Suárez suggested), but hasn’t built anything. At the moment, it’s in talks with a couple of publishers in Spain, and according to Suárez and Biraud is looking at tiered monthly payment levels tailored to the organization, based in part on the number of messages the customized bot sends and the complexity of the bot required by the news organization. 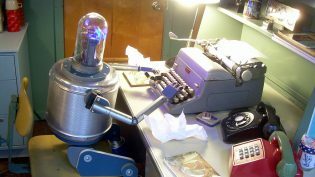 Suárez and Biraud both acknowledged that alternatives like Chatfuel or the free Wit.ai exist, but said that the various features in Politibot’s bot-making platform were honed with news organizations’ needs in mind. For its Spanish election experiment, for instance, Politibot profiled users on their age and gender, and then showed them how their specific demographic was voting, based on polls. In another chat interaction, it asked users for their location, and then returned a chart showing the results of their constituency. And if you wanted to offer different extra content to a segment of paying subscribers, the Politibot platform can help with that, too. POSTED July 28, 2017, 10:11 a.m.
Wang, Shan. "On the heels of its own success, Spain’s Politibot is opening up a chatbot builder for other outlets." Nieman Journalism Lab. Nieman Foundation for Journalism at Harvard, 28 Jul. 2017. Web. 20 Apr. 2019. Wang, Shan. "On the heels of its own success, Spain’s Politibot is opening up a chatbot builder for other outlets." Nieman Journalism Lab. Last modified July 28, 2017. 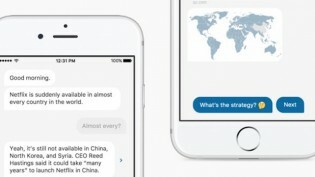 Accessed April 20, 2019. https://www.niemanlab.org/2017/07/on-the-heels-of-its-own-success-spains-politibot-is-opening-up-a-chatbot-builder-for-other-outlets/.